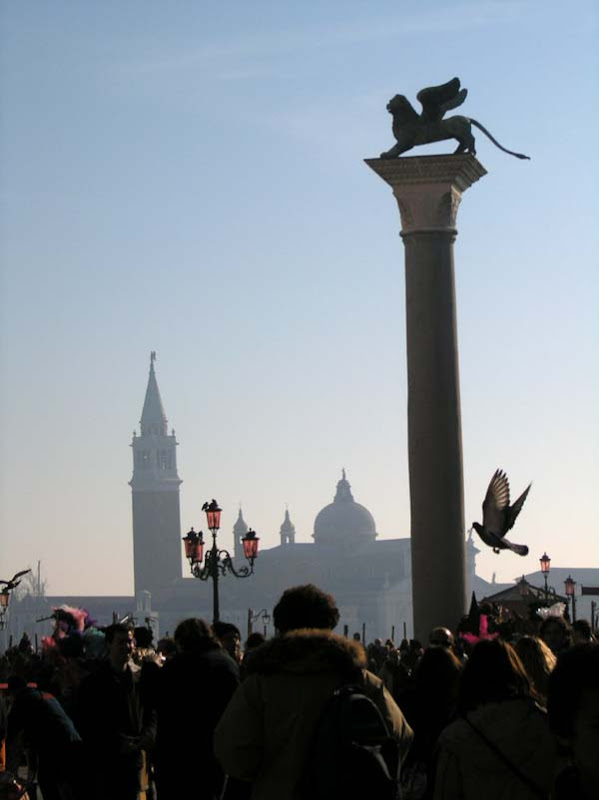 When we decided to visit Venice during the Carneval (Italians call it Carnevale di Venezia) there was six of us. However one of our companions had to cancel at the last minute. We all agreed to make a photo trip out of it, so we scheduled an early start on Saturday morning. After some delay (one of the participants overslept), we were on the highway heading for Venice. It was a three hour ride from Ljubljana, Slovenia to Venice, Italy. 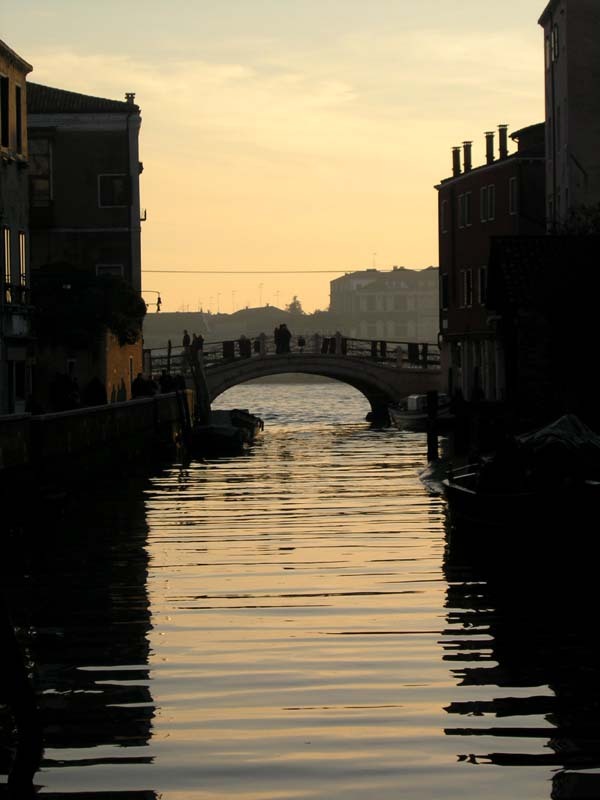 You can check a suggested itinerary here (provided by ViaMichelin). When we parked our cars on the island of Tronchetto it was already past 11 AM (we were well behind our schedule). 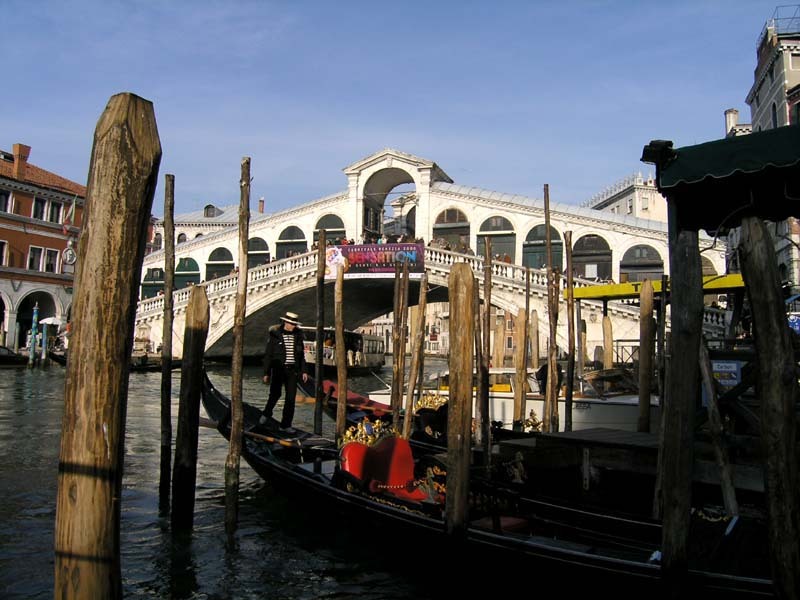 From there we caught a Vaporetto (a water bus) to St. Mark's Square (Piazza San Marco). 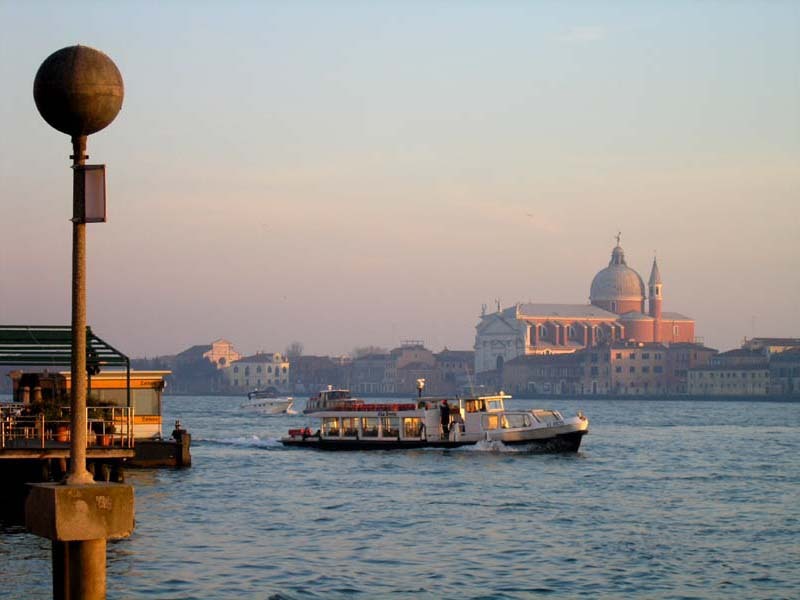 This is the famous square just across the island of Murano. There were quite a few locals in costumes showing off. Many tourists and also many professional photographers (judging by their equipment) gladly took the chance. We also joined in and got trigger happy. We spent quite some time on the square, before venturing into the maze of narrow streets and stinky canals. We continued wandering the streets until a way too early sunset. After sunset we soon headed back to our parking area. We went on foot and took a chance to see a bit less glamorous side of the city. Piles of garbage by the road were just one of the highlights of our walk. 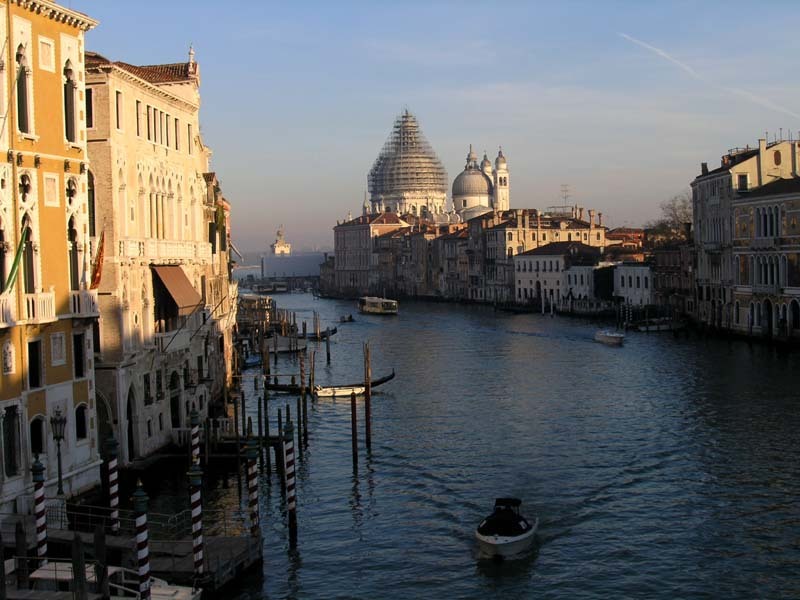 I personally think Venice is overrated as a tourist location. It is expensive and overrun by tourists all year round. Nonetheless I wouldn't dare to argue about its picturesqueness. It is almost impossible to take a bad photo while there. I hope you enjoy my selection. This trip was an excellent idea. And it was relatively cheap too. For two persons it costed under 80 EUR in total. If all five of us went by one car, it would be even cheaper. I guess it is necessary to point out that we successfully resisted the temptation to buy any souvenirs or enjoy a coffee on the main square. This stuff can get really expensive. For instance if you sit at a table closer to a canal, they usually charge you more for whatever you order! 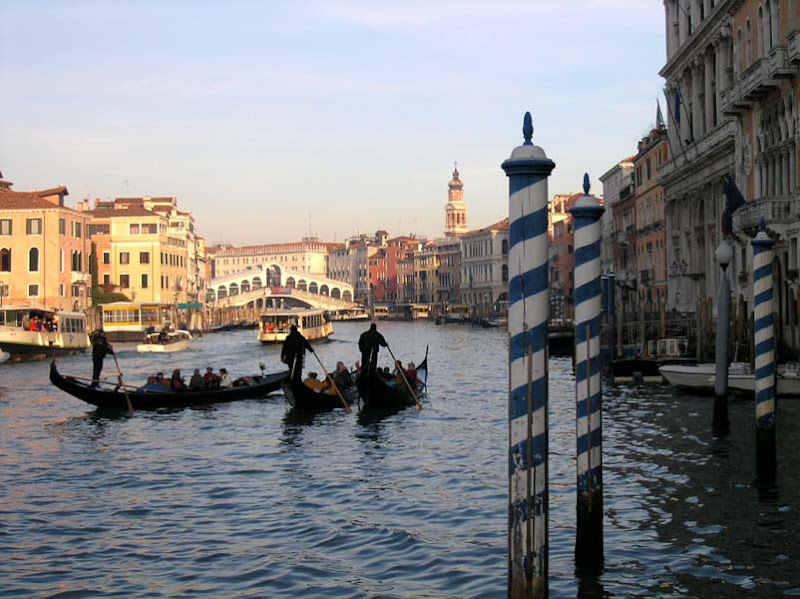 Carnival of Venice or Carnevale di Venezia - as Italians call it, is the place to be these days. This year I went there too! A couple of days ago me and M. were going through our options on how to spend this last Saturday. One of our options was skiing. 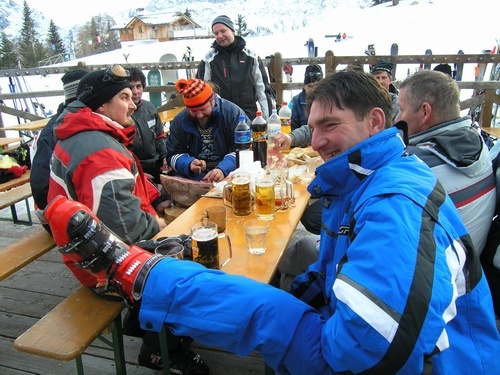 We were invited to join a group of friends on a skiing day-trip to Austria. We almost agreed to go for it, when another option came up. 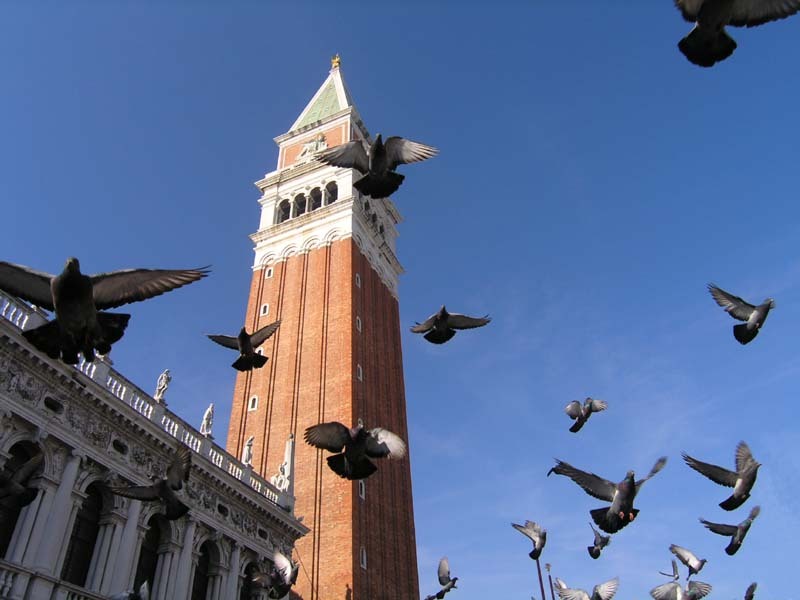 Four of our other friends were planning a photo trip to Venice. We were interested the moment we heard about it. After a short discussion we opted for this one. 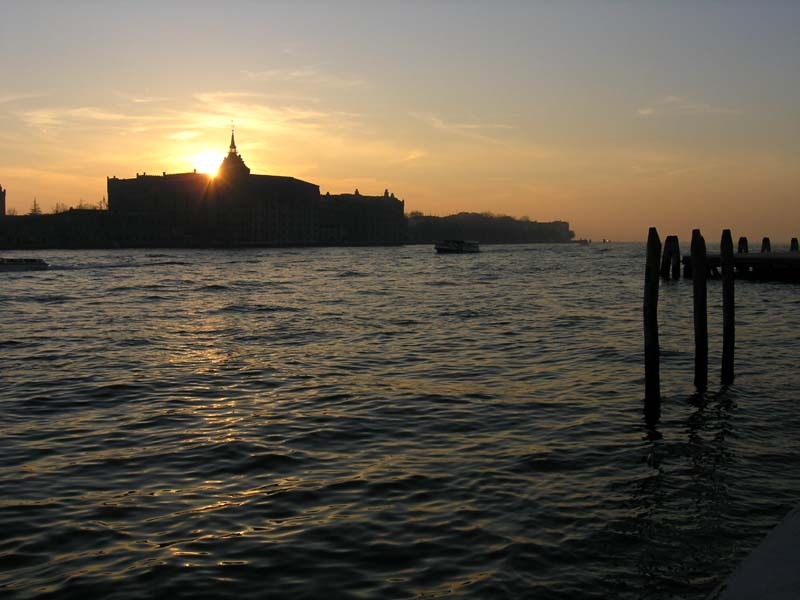 We have both been to Venice before, so we kind of knew what to expect. However we (me especially) were a bit worried this time of year the city might be overrun with tourists from allover the world. Some years ago, when we were there during the Carnival the streets were literally flooded with people. The human river just swallowed us and it was almost impossible to take a turn. If the crowd was going left, so were we. You can imagine the nightmare when we tried to take photos. Taking a photo without at least some people in it was science fiction. That really is not my kind of thing. Unfortunately that wasn't the end of it. It was a very cold day and the strong wind wasn't so nice either. As hours passed, the wind grew stronger and we were freezing. It was definitely not something to hope for this year. Luckily this year was nothing like that. 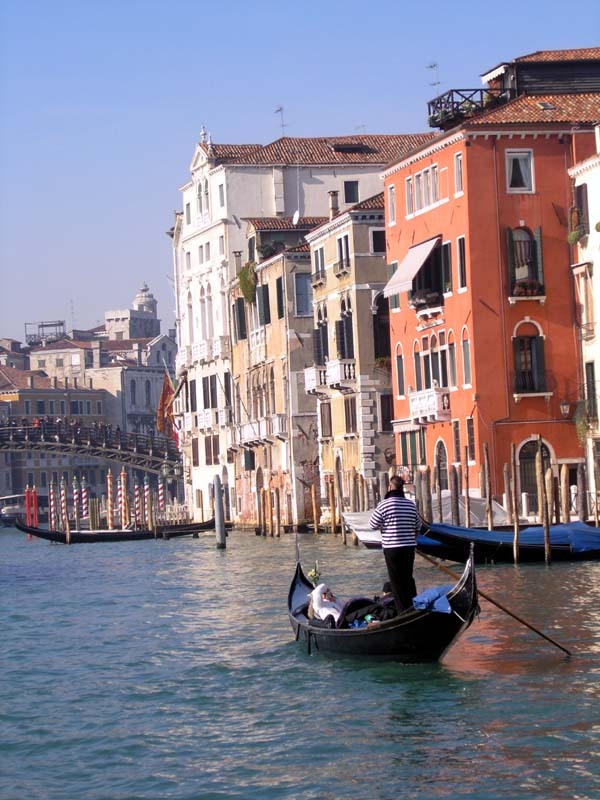 All main events were scheduled for the next weekend, so I guess the majority of American and Japanese tourists are still waiting to catch a plain for Venice. Even the weather was nice and sunny this year. The temperatures were somewhere around 11 degrees Celsius. Altogether it was a nice day in Venice. We were glad we went there again. This will have to do for now. I will post again on this subject when I make it through a pile of photo material. And it's quite a pile! Stay tuned for some more old canals and sparkling costumes. 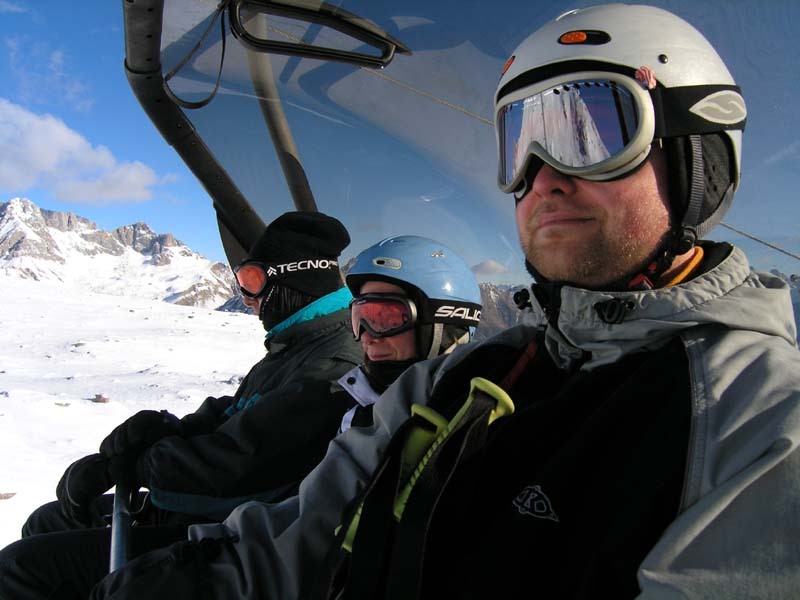 For a couple of years now the official Dolomiti Superski homepage is offering some statistics for you to check out after you get back home. I always try to remember and check them out. This year they upgraded the statistics with a graphical representation. This is how a summary of my four days of skiing in Trevalli looks like. I noticed the numbers are a bit lower than usually. The reason for that is quite obvious from my previous two posts. 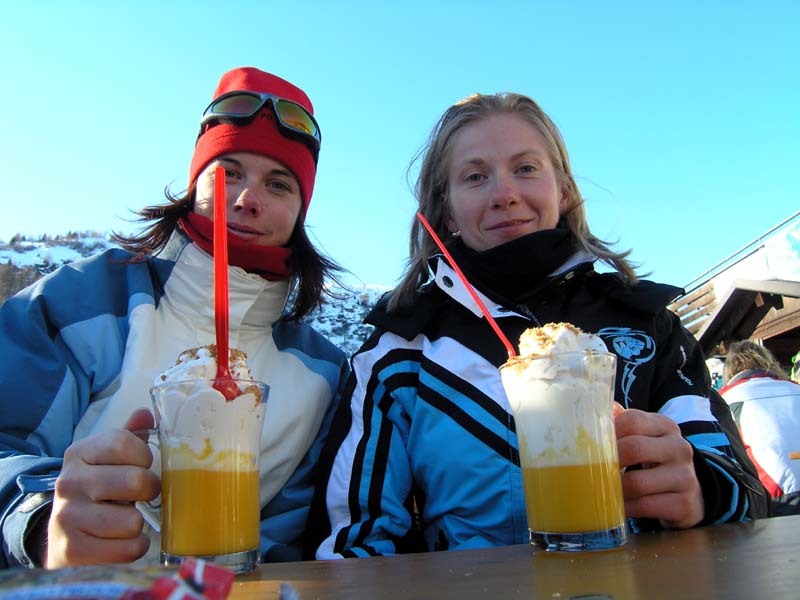 I posted a similar summary after my last year's skiing adventure in Civetta. You can check it out here. 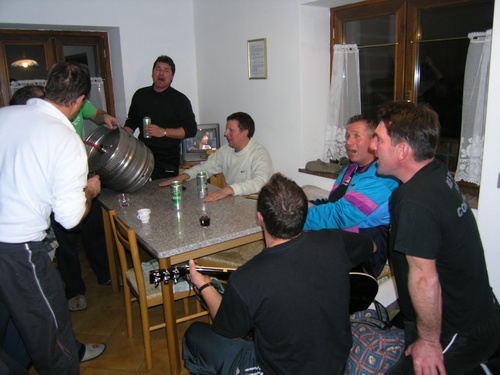 Since in Trevalli there are no night skiing opportunities, we had to find something else to do during late hours. It is quite usual for our group to cause some mild disturbance in an otherwise peaceful family vacation environment. This time however it was not the case. There was this group of 18 men (aged 40 to 50) stationed in the same building with us and they were true party animals. We were no match for them. They said they do a thing like this twice a year. That's the only two times in a year their wives let them off the chain (so they put it). They seemed to try real hard to make the most of it. They brought over 150 liters of alcohol with them. Mostly it was beer and wine, but there was also some home made schnapps, herb brandy, tangerine liqueur, walnut liqueur, blueberry brandy and I'm pretty sure that was not all. Personally I only managed to try those. I must say they were all homemade drinks and without an exception tasted pretty good. They also had a pile of sausages, various dry salami and a whole leg of prosciutto with them. It all added up to a selection of meat products that I'm sure even a medium-size butchery would be proud of. When they started to party you could barely hear yourself thinking. An accordion and a guitar encouraged them to sing louder and louder as the hours went by. Fortunately they weren't in their best shape (or so they said), so they managed an all night party only every other night. Surprisingly we saw them also on the slopes during the day. It was quite hard work for us too. Partying late and skiing all day long from 10 AM to 4 PM every day was quite a challenge. They made me laugh every time I saw them. You could just never tell what they were up to. 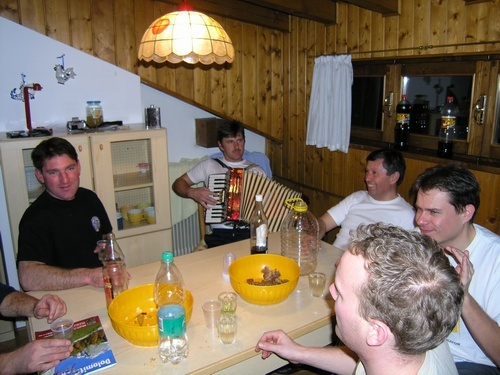 Of course they had their equipment with them on the slopes too (accordion included). I am not sure how much skiing they actually did, because I saw them mostly around those neat mountain huts by the slopes. Usually there are tables set in front of these huts. It feels really great to just sit there for a while and soak the sun. The only thing that spoils the idyllic atmosphere are the prices of food and drinks they offer. You could bring your own sandwiches and hot tea, but there are signs everywhere saying: "No picnic!" or "No packed lunch!". If you try to ignore them, there is usually a waiter around to nag about it. Well these neighbors of ours didn't seem to bother. They simply put their leg of prosciutto in a stand on one of the tables, just next to the 10 liter wine container they brought with them. They sang a song or two and slowly carved into the prosciutto with a 30 cm carving knife. The waiter just pretended they weren't there and kept avoiding them. It was a laugh! Oh yeah and the prosciutto was excellent! I finally (with some substantial delay, but hey in the end I did it and that's what counts) decided to share some info on how my first skiing trip of this season went. We had a great time and will definitely try to do it again. The only problem with this kind of ski-opening trips can be snow, or better put - the lack of it. It is always a bit of a gamble since you have to book the accommodation at least two months in advance. At that time you don't have a clue what the weather and snow conditions are gonna be. Fortunately this time all went well. It happened in the middle of December and included four days of skiing, relaxing and partying. The car trip took us just over four hours one way (Ljubljana to Falcade and back). It went by without any problems. We went as a group of 13. In case if you are wondering - no, there was no lack of luck (I guess this time 13 wasn't an unlucky number at all). Mostly we knew each other, there was only one couple that was new to me. We got along great. We were divided into four apartments and instantly turned into four perfect little families. When it was time to party we (as usually when we go somewhere as such a group) occupied one of the apartments and tried to destroy as much of our common enemy as possible. As you might have guessed, this enemy of ours is also called alcohol. Because of the long hours of skiing that were always in front of us on the next morning, we didn't take it too far. Most of us really love skiing, so it was our first priority. A smaller part of our group (a female colleague) wasn't expecting that and consequentially while others were skiing, she tried to pass the time tasting various local drinks (most of which were alcoholic). Those cute little huts (I like to call them skier traps) placed just next to ski slopes offer a variety of spirits, beers and similar stuff. Everybody tasted at least some of those. For an instance Bombardino was the first choice of many. The skiing was great. Most of the snow was artificial, but it was enough of it and most of the slopes were opened. That meant around 90 km of slopes were available. Trevalli ski resort is just big enough not to get bored in four days. The name of this part of Dolomiti Superski area - Trevalli translates to Three Valleys and that's just what it is - three valleys full of ski-lifts and slopes. Two of those valleys are connected and the third is just a short ride away. 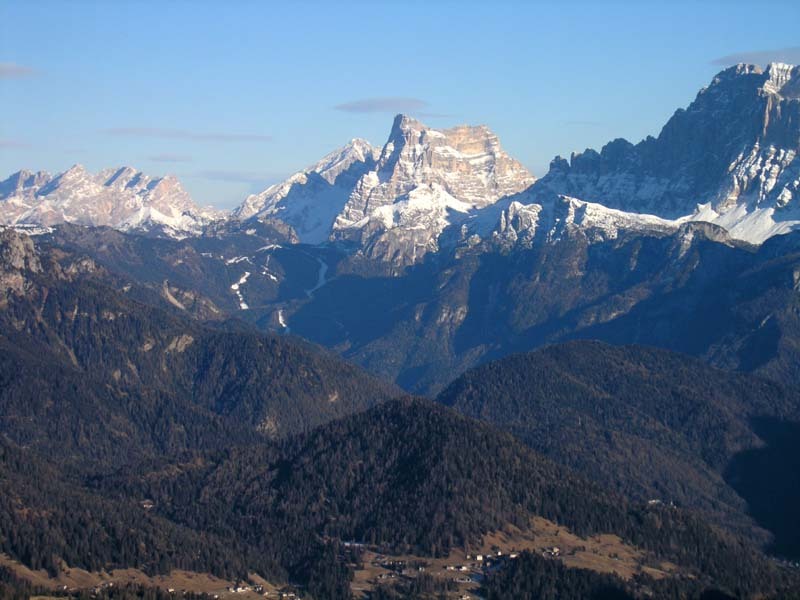 From Col Margherita, at a height of 2.650 m one can also see ski slopes in Civetta ski area and Mt. Pelmo rising above them. It was a nice view especially because we are going there again in February. More about the other side of skiing in my next post. The new year has not started all that well for me. I have not been feeling well since the New Year's Eve. There have been some good days since, but mostly I've been feeling quite crappy. It all began on the New Year's Eve. 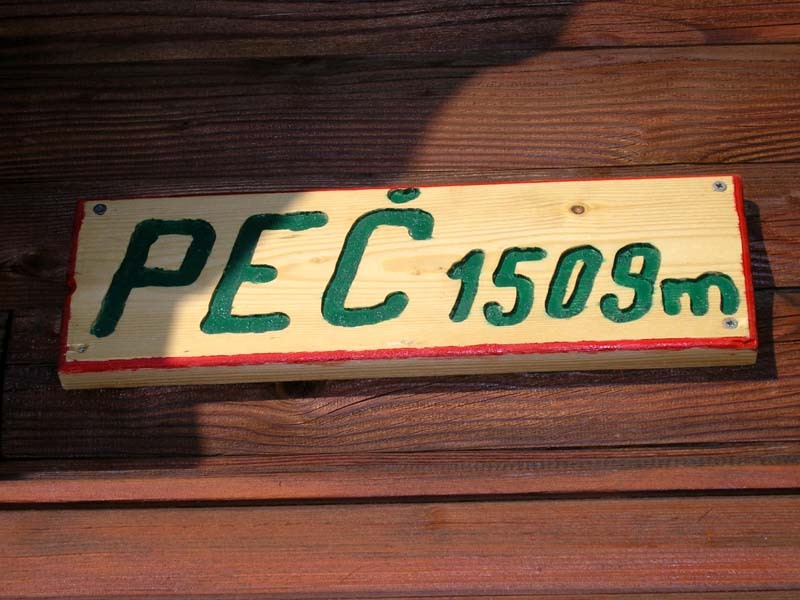 With a small group of friends we went to a mountain cottage under the Vršič pass. It stands at 1226 m and at this time of year we were hoping for a couple days in an idyllic mountain winter atmosphere. When everybody was partying I was shaking with some flu-like symptoms. I didn't have much of the New Year Eve's party nor the day after. I spend it in bed while others enjoyed hiking on a beautiful and sunny first day of the new year. So no photos for you! 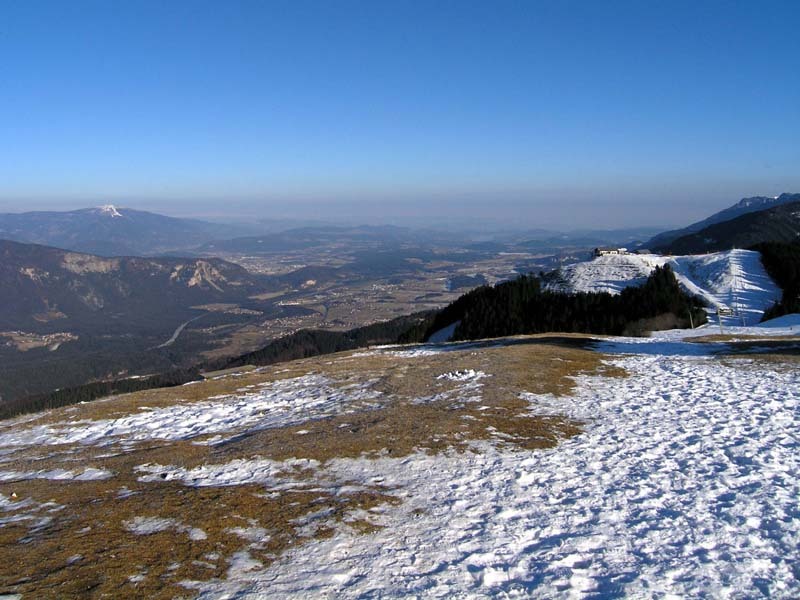 I took some on the next day when we went hiking to Peč (1509 m). I was obviously feeling better then, but it lasted only for a couple of days. Then it got worse again and I haven't been fine since. Unfortunately it wasn't a simple flu and the doctor prescribed me 6 weeks of antibiotics and a week of rest. All that aside it was a nice trip to Peč. The place is also called Tromeja, which translates into English as Triple border. 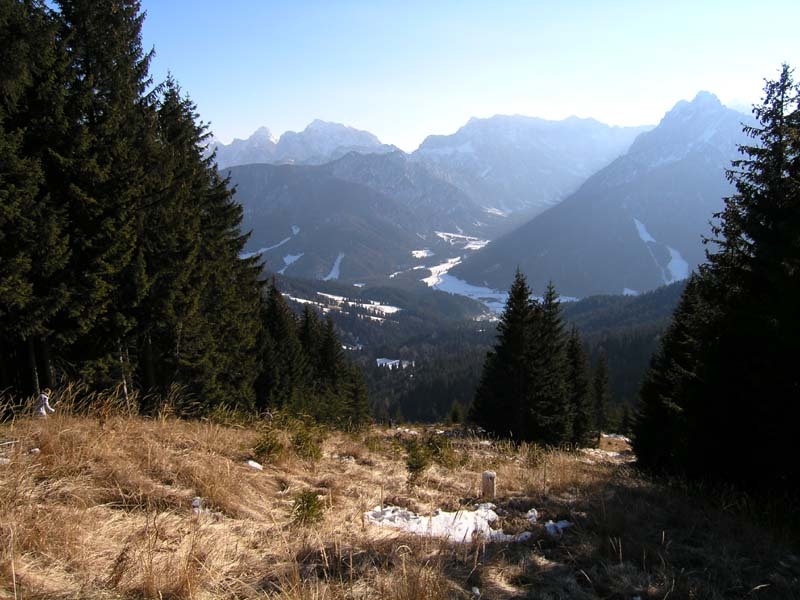 It is the place of triple border among Slovenia, Italy and Austria. In clear weather it offers nice views on all sides and there is also Tromeja skiing area down the Austrian side of the mountain. We stopped at a mountain hut on our way down. There we had a delicious venison stew with bread dumplings. These photos are from that trip.